the Republican Presidential Debate on TV. As I watched with my wife and parents in our family's living room, I couldn't help but begin to take sides very quickly. Rather, I put into categories those candidates who followed most closely with the Bible and those who did not. Perhaps the greatest leader any nation has ever seen was King David, who reigned over Israel for forty years. Not only did God choose him as king over his more powerful brothers, but He also blessed the nation of Israel through his loyalty and service unto Him. That, I believe is the key quality to look for in a leader: submission unto God. Submitting to God requires three qualities: humility, listening, and taking courageous action. These, then, are the three qualities to look for when deciding who would be best suited to rule over us as a nation. King David was humble. Even after defeating lions and bears when protecting his sheep he did not take the honor for himself. "The Lord who delivered me from the paw of the bear and of the lion..." (I Samuel 17:37). He knew that God had delivered him and that it was not due to his own might. Look further into David's heart in Psalm 131: "My heart is not proud, Lord, my eyes are not haughty; I do not concern myself with great matters or things too wonderful for me. But I have calmed and quieted myself, I am like a weaned child with its mother; like a weaned child I am content. Israel, put your hope in the Lord both now and forever." David boasted very little in his own strength. And when he did, he responded to God's discipline with humility and repentance. After David was convicted of his sin with Bathsheba, he tore his clothes and put on sackcloth (the customary action to show a broken heart) and turned his face to God and asked for mercy. This is the mark of a humble man, which is one reason God blessed David and his kingdom. King David also listened - not only to the people, but most importantly to the Lord. Take this story, for instance: King David had in his heart to build the Lord as temple, a place to live among His chosen people. However, when God told him not to do it, he listened. Instead of growing angry and building the temple anyway, David listened and obeyed the voice of God and thanked Him for His blessings upon his family (I Chronicles 28). David's ability to listen and obey is another reason he was a great leader. Finally, King David was courageous. He did not back down for fear of offending someone or even for fear of his own life. (Now, there were times he did back down, but overall, his life was not marked by fear and cowardice.) When David faced the giant Goliath, he did so with courage - bravery in the face of uncertainty- and proclaimed boldly, "The Lord will give you this day into my hands!" (I Samuel 17). This is important to realize as well: David's courage came not from reliance upon his own strength, but upon his trusted assurance in God and His infallible Word. In conclusion, my house and I have decided to trust the Lord. We are praying to God for mercy upon our nation and that He would deliver us from evil rulers, and set up a godly president who would lead humbly, obediently, and courageously. 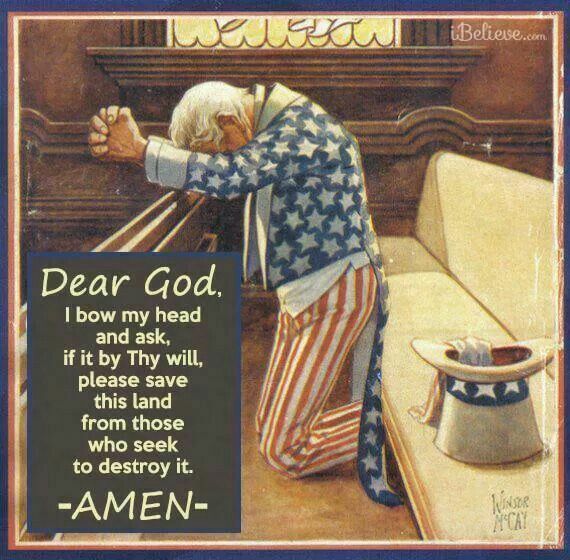 Would you join me in praying for our nation as many of us are already doing? "... if my people, who are called by my name, will humble themselves and pray and seek my face and turn from their wicked ways, then I will hear from heaven, and I will forgive their sin and will heal their land" (I Chronicles 7:14).